This article makes the point that it’s equally important to train your mind before doing a marathon, as it is to train your body. What they actually failed to say is that when you speak positively, it actually physically strengthens your body and when you speak negatively, it physically weakens your body. This is because your mind and your body are inextricably linked – they are not separate! Although I have not run a marathon, I did train to run 10 miles, aged 55, from a starting point of zero, with just 13 weeks training. What I found really helpful was deciding right at the outset that I was going to do it and that nothing would stop me. This was very powerful. I remember speeding up to run over the finishing line and carried on running. It was Henry Ford, founder of the Ford Motor Company who said, “whether you think you can or you can’t, you’re right.” That’s how powerful your mind is. Of course this applies to everything you do, not just running. 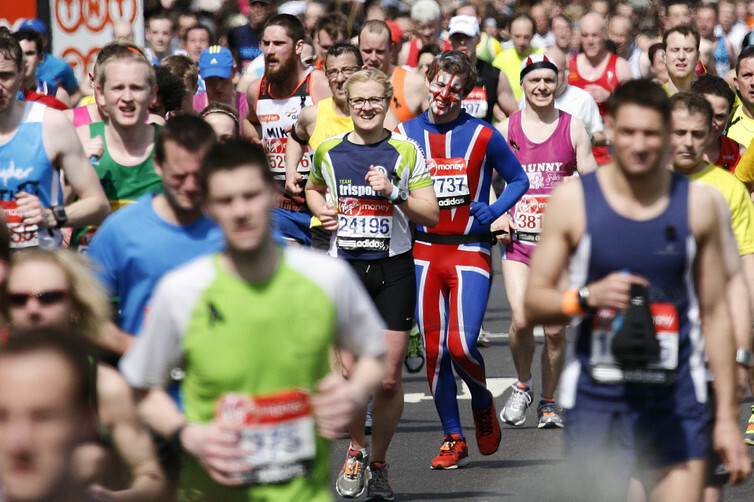 Thousands of people graced the streets of London to run the annual marathon on Sunday, April 23. Runners spent weeks and months physically training alongside a carefully crafted diet plan to get them in top shape ahead of the big day. With any marathon or long distance, not only is physical preparation important but it is also crucial to prepare mentally for the gruelling number of miles. Because running a marathon is not just about the body; the mind also matters quite a bit as well. Training your mind for a marathon might sound a bit odd, but preparing mentally is really no different to preparing physically. Just as you would prepare your body, it’s equally important to prepare your mind for the inevitable mental challenges. In fact, research suggests that elite marathoners use specific psychological strategies to help them perform for this unique event. So we all know that British military adage of proper preparation prevents poor performance, but how does that figure when it comes to mentally training for a marathon? First off, let’s talk about the infamous wall, and what happens when you hit it. Because hitting the wall isn’t just a fallacy, it really does happen. And it’s probably going to happen to you at some point if you’re brave enough to be running the marathon. Hitting the wall is basically about running out of energy. Your legs feel like concrete, your breathing becomes laboured, your stride turns into a shuffle. Negative thoughts flood your mind, and the urge to quit becomes overwhelming. Identifying imaginary but realistic scenarios before the race like what happens when I hit the wall? or what if it rains? are key to success on the actual day itself. To get the most out of this, runners should identify potential strategies to cope with these situations should they arise on race day. In a study 315 participants from three eastern seaboard marathons in the United States were asked about their experiences of hitting the wall. The researchers found that about 43% of participants reported that they hit the wall during the marathon, with results showing that fatigue, unintentional slowing pace, a desire to walk, and a shift in focus to survival were all key features of the wall. In another study, 57 experienced recreational marathoners were asked about how they coped with hitting the wall. The participants used multiple techniques including physical coping efforts such as supplementation or hydration, emotion-focused coping, social support, and cognitive strategies like willpower and mental reframing. To psychologically prepare for the wall, runners need to first accept it is probably going to happen and then identify strategies to cope with this situation. One such technique to help overcome the wall could be managing your self-talk. Self-talk refers to the voice in your head. It is a useful mental strategy to apply to long distance running, and many studies have shown the majority of competitive marathon runners use self-talk during marathons. Runners report using a rich variety of motivational self-talk as well as spiritual self-talk and mantras. Repeating choice words whenever you need to focus can help direct your mind away from negative thoughts and toward a positive experience. The Sanskrit word mantra literally means instrument for thinking. As such, short words or phrases can be used effectively to focus the mind. To best manage self-talk, before the race, runners are encouraged to prepare multiple mantras tailored to various challenges. For example, to overcome inclines, you might use the words hills are my friend. Towards the end of the race, you might say to yourself think strong, be strong, finish strong. Or you might just be repeating keep running, don’t stop over and over again; it really is a case of whatever works for you. During a marathon, association and disassociation are also important cognitive strategies for maintaining focus. Association refers to the monitoring of the body and adjusting pace accordingly, while dissociation refers to using distraction to direct attention away from pain. A study from the University of North Carolina investigated the association and disassociation cognitive patterns of United States Olympic Marathon trial contestants. They found that the top finishers employed cognitive strategies that utilised both associative and dissociative techniques, while lower finishers only adopted dissociative strategies. So being at one with your physical state is really important if you’re trying to maintain your focus. Paula Radcliffe used a variety of associative and dissociative strategies during her running to maintain focus. These included monitoring footstrike and stride pattern, ensuring that her arms were swinging forwards and backwards rather than from side to side maintaining awareness of hydration levels, observing breathing patterns, and counting in her head to determine where she was within each mile. 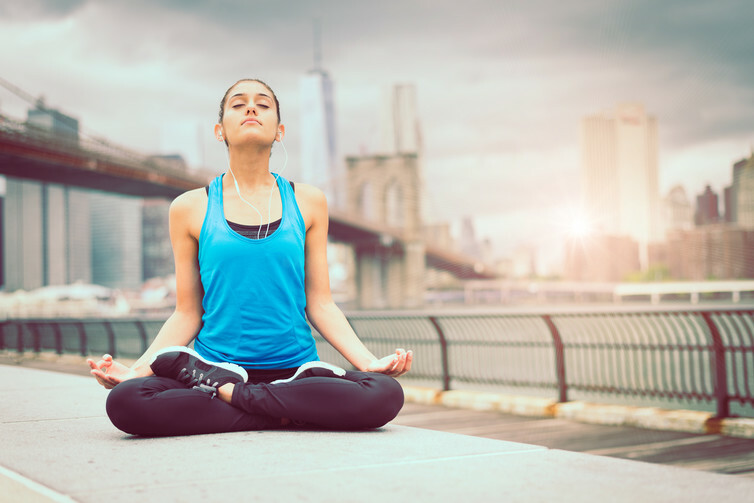 These strategies can help bring a meditative practice to your movement, creating a healthier way to run that’s more enjoyable, with better results for body, mind, and soul. By running in sync with your breadth, watching your stride, and counting in your head, you can enjoy the pure joy of mindful running. To make sure you’ve got the best chance of success in any long distance run, consider putting into practice these three mental strategies before and during race day. And as Radcliffe said: In long distance events, the importance of your mental state in determining the outcome of a race can’t be overestimated. If you have any questions, please contact me on 01202 743961 or 07957 672335 or visit my Contact Vanessa Page to book your complimentary True Worth Strategy Session.